20 - When An IF! Runs AMOK by What The If? How FAR can you stretch a thought experiment? How much can you bend your mind? How far off the cliff can we run without looking down? Today we push the concept of learning from an IF into new dimensions. It's the exciting conclusion to our wild & wacky "Haiku In The Collider" scenario! We learn a tremendous amount of amazing REAL science in the process, as we spin out (of control!) this SciFi idea, keeping it as rooted in scientific facts as possible. We rejoin the scientists at the Large Hadron Collider... they're transfixed by the HAIKU flashing on all the screens in mission control. They've spent months ruling out all possibilities that this is an error, or a prank, or that they're dreaming and will wake up and find normality restored. Nope! The mystery begs for explanation. Who is sending this message? Why is it in Japanese? Why Haiku??? HOW did they do it? Where are they? So many many questions. We summon the minds of a fantastic cornucopia of scientists, and the best hard-SF writers to bring this trilogy to a conclusion. 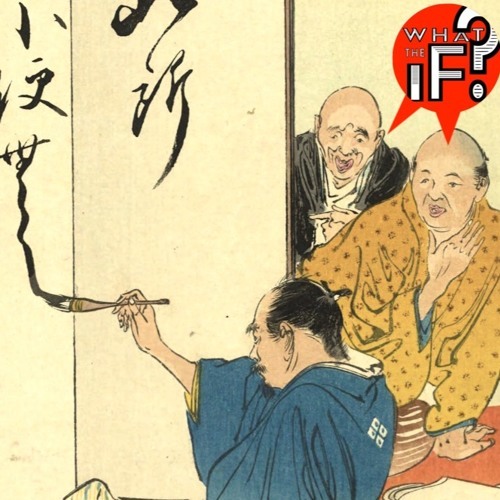 So many questions... so many answers... so many laughs and facts and fun in this outstanding episode of What The IF!